When I was in Lahore this past March, designer lawn was all the rage. It seemed like every designer was coming out with lawn print collections, and me being the eager shopper I was made sure to visit some of the top exhibitions. (Of course my cousins made fun of me for this – they thought designer lawn was ridiculous – also, they thought Canada didn’t get hot enough for lawn – they don’t realize that lawn is perfect for hot and humid Toronto summers!) For those that don’t know, lawn = a really thin type of cloth that women in South Asia will make their clothes out of in the very hot season because its light and breathable! So on my to do list in March in Lahore was Sania Maskatiya’s lawn exhibition at PDFC Mall in Gulberg. We went in and there was a huge tent with a DJ, lots of manicans wearing her latest collection and a bunch of reps from the brand. Prices ranged from 3500 rupees for stitched shirts to 4500-5000 rupees for unstitched 3 pieces suits. 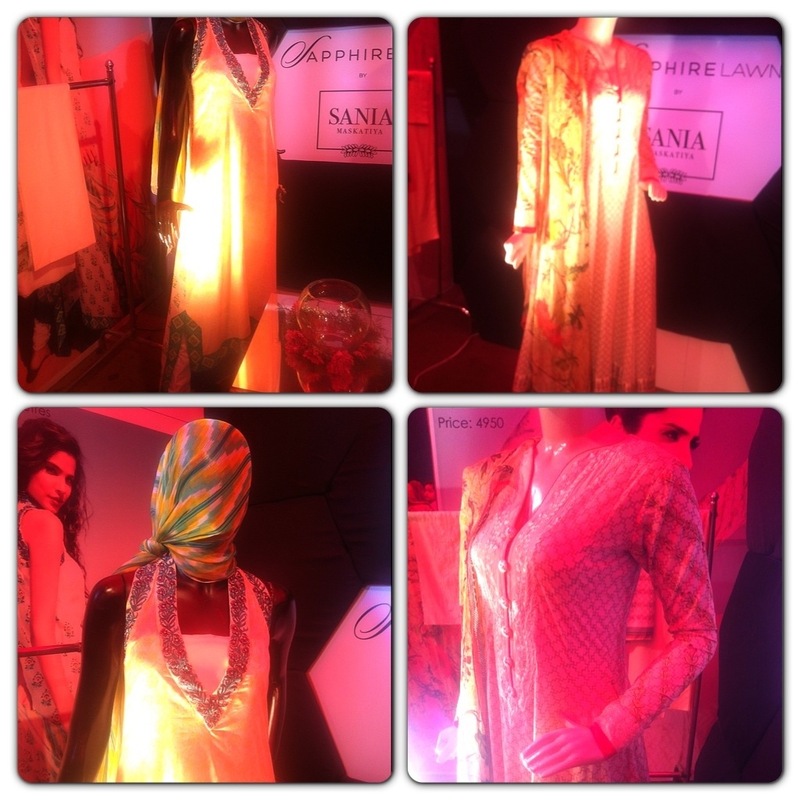 Each of the suit packages came with the dupatta materials, the shirt and trouser material and any laces or appliqués. You then would give that to your tailor who would sew it as per your instructions. I was lucky that my cousin is a designer herself so I just gave her the packages and she knew how to make them so they would turn out just like the picture! Here’s the two outfits I ended up getting from the Sania Maskatiya exhibition – I feel like they will come in handy during iftaars and summer bbqs this Ramadan!